This time I was nice enough to write to the Daily Mail to point out their mistake, rather than just whining here. They’re mocking the gentleman shown above (an intellectual, to be sure) for having jenius tattooed on his head, instead of genius. 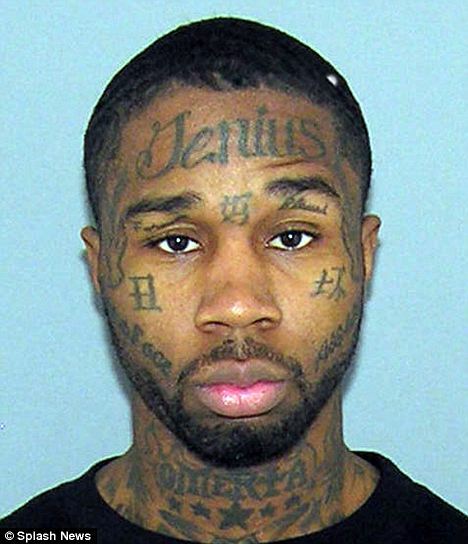 You may want to rethink the story available at http://www.dailymail.co.uk/news/article-1353389/Man-assault-charge-pictured-misspelt-genius-tattoo.html titled “Some ‘genius’! Suspect on assault charge pictured with misspelt tattoo”. The lettering on the gentleman’s face is in cursive, and starts with a cursive G (see http://funeasyenglish.com/writing-the-english-alphabet-letter-g.htm for details on how to write one). Now it’s not a particularly well done cursive G, for sure, but then I imagine the sort of people who will put tattoos on other people’s foreheads probably didn’t have the best cursive teachers. I look forward to your follow-up article about the ‘Daily Mail Reporter’ so dumb he or she can’t recognize his or her own language when it’s written down. If I bought this do you think it would say something about me that I might not want Amazon to know? This is one of the most terrifying images I’ve ever seen. This might provide some protection. This looks like a fake. But then you watch it carefully, and it looks real. And then you realize that it’s been confirmed by Snopes, so far as they can tell anyway. And then you think, wow.